The state of Texas is one of Austin’s largest employers, with about 70,000 workers locally. A proposed change to the next state budget could take options away from those employees in the event of medical emergencies. Based on recommendations from a Senate cost containment work group, the proposal would direct the Employee Retirement System (ERS) to “disincentivize member utilization of freestanding emergency rooms.” This would effectively shift a larger portion of costs for emergency care rendered at freestanding ERs to ERS enrollees. The results of this action would be significant. Through the Texas Employee Group Benefits Program, ERS health insurance plans cover about one of every 52 Texans. That means more than 540,000 participants statewide could have fewer options for receiving emergency medical care. It is no stretch to predict that if this reduction in access to emergency care is approved, state employees who are injured or fall ill close to freestanding ERs would feel financial pressure to travel longer distances to receive care at hospital-based emergency rooms. Numerous studies indicate that long delays in receiving emergency care, which include administering critical medication and procedures to stabilize patients, lead to adverse outcomes. My company operates four freestanding ERs in Austin, Pflugerville, Round Rock and Dripping Springs. 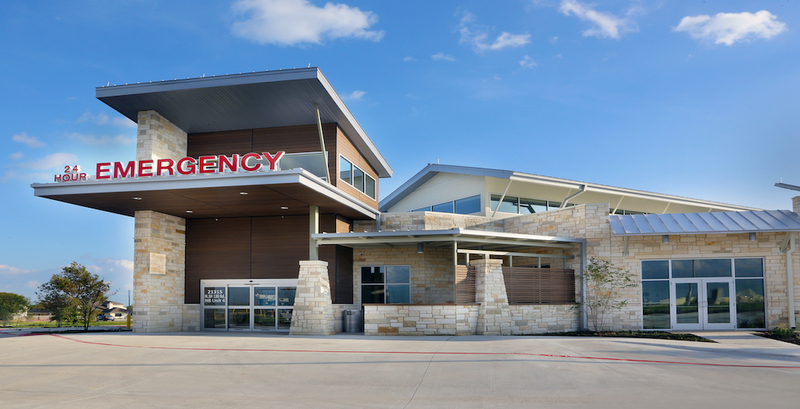 For many folks living in the Austin suburbs, our facilities offer the closest emergency care by a considerable distance. If state employees feel pressure to drive past freestanding ERs and into the city, where traffic can be a nightmare, just to receive care from a traditional hospital-based ER, the risks of death or permanent disabilities significantly increase. The fact is, our entire state performs poorly when it comes to access to emergency care. The American College of Emergency Physicians ranks Texas 47th among states in that category, with a grade of ‘F’. Freestanding ERs are crucial. They improve access to care by offering patients alternative settings to overcrowded hospital-based emergency rooms. While not attached to traditional hospitals, freestanding ERs are fully functioning emergency rooms that provide the exact same level of service as hospital-based ERs, and treat true medical emergencies like heart attacks and strokes. The facilities also offer added convenience in the form of reduced wait times compared to hospital-based ERs. According to both state and federal law, emergency medical care is an essential health benefit, and must be provided without limitation — regardless of network status. This budget rider to discourage usage of freestanding ERs directly violates patients’ rights to exercise their out-of-network benefits. By shifting more costs to ERS patients through coinsurance and copayments, ERS is financially limiting the options available to its members and reducing access to care. Data considered by the work group clearly shows that charges billed by freestanding ERs — the lone variable that providers control themselves — are much lower than those from hospital-based ERs. Furthermore, the freestanding ER industry provides more than $40 million in free care to Texans every year. This includes Medicaid, Medicare and Tricare, as most freestanding ERs are not yet able to receive reimbursement from government payers. Therefore, freestanding ERs treat Texas’ Medicaid population at no cost to the state. Not only is this budget proposal anti-competitive and filled with legal concerns, it endangers the lives of thousands of state employees across Texas by limiting their options for care in the event of medical emergencies. The Texas Association of Freestanding Emergency Centers urges the budget conferees from the Senate and the House to reconsider this proposal, which ultimately hurts patients. Blaming providers and punishing ERS enrollees for a poorly managed health insurance contract is not the answer, and it will only lead to increased liability for the state. Budget conferees should seek cost containment through alternative measures that do not violate federal and state law or jeopardize the health of thousands of Texans throughout the state. Marysol Imler, RN, is Vice President of Five Star ER and serves on the board of the Texas Association of Freestanding Emergency Centers.